The BBE tethered punch bag is fitted with 4 webbed hanging straps and chrome plated D-rings to provide stability during workouts. 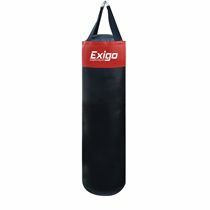 This 23kg (50.7lbs) bag is manufactured from a synthetic hide material for enhanced durability and features double stitched re-enforced seams. The tethered loop facility at the base of the bag ensures maximum swing reduction, whereas the heavy duty zip fastened top closure delivers maximum fill potential. 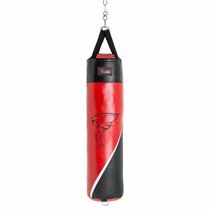 The punch bag is 4ft (122cm) long, has a diameter of 33cm (13”) and is textile filled providing more natural feel and even balance when being hit. Initially I thought the 4ft BBE bag may be to light at approx' 25kg in weight but on delivery the bag feels a lot heavier. I think a strapped bag as opposed to a chained bag is the way to go as the former is a lot quieter whilst in motion. Delivery was prompt and I even had a speedball and gloves thrown in. 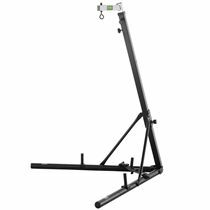 I haven't hung the ball so can't comment further. I will definitely buy from Sweatband again. 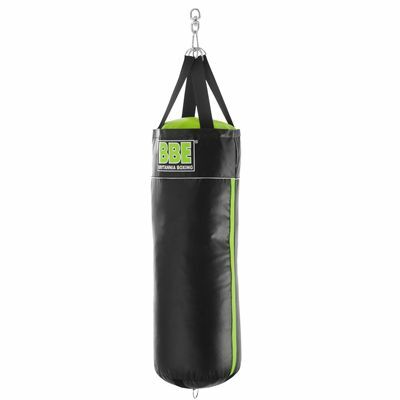 for submitting product review about BBE 4ft Tethered Punch Bag.